Scarifying industrial concrete floors is a preparation method prior to installing certain concrete floor coatings. It is an effective solution for removing thicker existing floor coatings and resurfacers. Scarifying loosens the bond between the concrete and the surface coating revealing bare concrete underneath. Cementicious urethane concrete floor coatings require a more aggressive surface profile preparation to create the best bond. 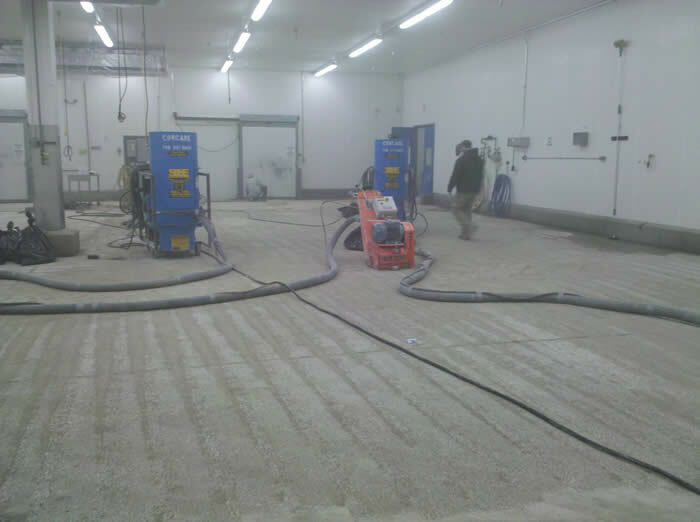 Concare utilizes vacuums attached directly to the scarifying machine in order to manage and minimize dust particles. To understand if scarifying is the right surface preparation method for your concrete floor, contact Concare today.